Quickly customize the length of your home theater or broadcast video cables with these connectors. Nickel-plated brass provides years of reliable service. 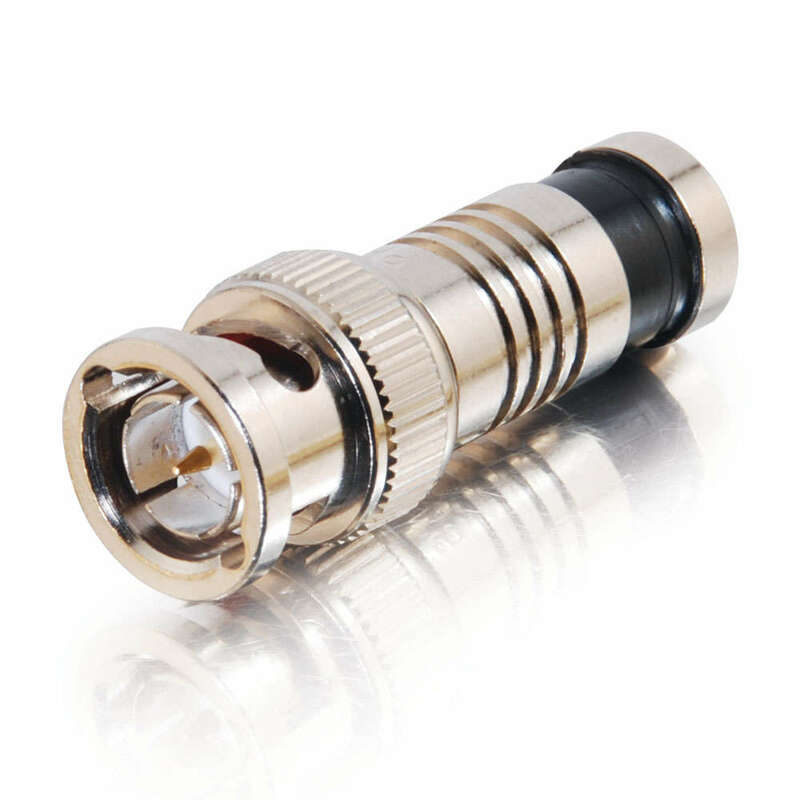 Barbs within the connector centerpin provide a reliable signal path, and ensure a positive connection to the cable's center conductor. These connectors are a breeze to install and more reliable and easier to use than traditional hex crimp BNC connectors.Simply prepare the cable in the same manner as an f-type connector, insert the connector onto the coax cable and compress it with the 3-in-1 compression tool (item #38011).Note: Item 41122 must be installed on a RG59 dual shield cable that has an outer diameter between 5.4mm and 6.1mm.